This video is a lesson from Module 1 of the new Divine Beat Mixing course, a deep-dive into the art of mixing beats. In this tutorial, I’ll show you techniques for mixing 808s and bass lines with great results, even on hi-fi phone / laptop speaker systems. Over 3 hours of new content in 27 easy-to-follow lessons. 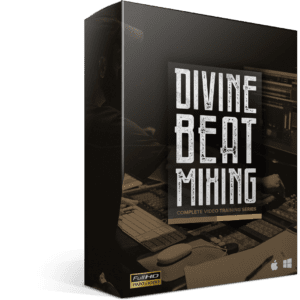 The latest edition in the Divine Mixing series, Divine Beat Mixing is a direct response to requests from producers and beat makers all over the world. You’re guided through 3 complete beat mixing sessions start-to-finish, revealing the plugin settings, creative choices, thought processes and techniques to achieve an impactful sound for your beats.